EOIN O’KEEFFE ARCHITECTS » What is ‘nZEB’ (nearly zero energy buildings)? 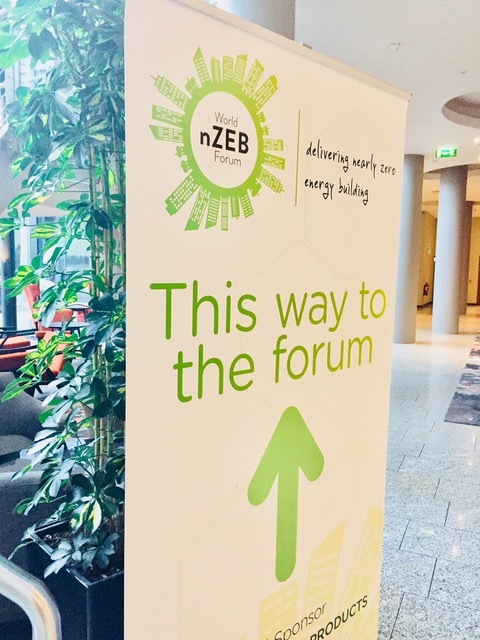 What is ‘nZEB’ (nearly zero energy buildings)? ‘nZEB’ stands for ‘nearly zero Energy Buildings’ which have a “very high energy performance”. The “nearly zero or very low amount of energy should be covered to a very significant extent from renewable sources produced on-site or nearby”. After 31st December 2018 for buildings owned and occupied by public authorities and by 31st December 2020 for all other buildings. What if my building doesn’t meet nZEB? Buildings that don’t meet nZEB do not comply with Building Regulations and thus cannot be occupied. It’s that simple. It is the most significant change to Irish building regulations in over a decade. For non-domestic buildings, energy efficiency has to be improved by 60% compared to current building regulations. For domestic buildings a 70% improvement is required compared to 2005 regulations. How come I haven’t heard of this before now? Whilst nZEB was first announced by the European Parliament in 2010, most people in the construction community in Europe are still largely unaware of it. Is it only for new-build? nZEB will also apply to existing non-domestic buildings if more than 25% of the surface area is undergoing major renovation. How do I know if my building meets the nZEB standard? Proof of compliance for domestic buildings is demonstrated using the DEAP tool (dwelling energy assessment procedure). For non-domestic buildings, SBEM is typically used (simplified building energy model).